Online travel agencies like Reservations.com, Travelocity and others, got their start as a supplemental marketing channel for hotels to sell unused inventory. They quickly evolved into much more than that, and their evolution continues. Recently, I had a conversation with Mahesh Chaddah, co-founder of Reservations.com, about the past, present and future in the world of OTAs. As they have evolved, online travel agencies or OTAs have offered cheaper rates than available directly through hotel websites by using a variety of tools, including acquiring blocks of rooms at a discount, enabling them to offer them at a lower rate. They are also offering special rates for travelers who book using mobile devices, etc. Different from metasites like Kayak or Trivago, OTAs provide a broader range of services. And while many people will research prices using a metasite, then book directly with the provider, Chaddah said fewer people do that when using an OTA. Those who use OTAs for their research more often book through the OTA. More and more, however, individual brands are offering guarantees that booking through their sites will get guests the lowest rate available, and if they find a lower rate, they’ll be reimbursed the difference, plus a premium. Regardless of those guarantees, Chaddah said there can still be advantages to booking through an OTA. Many OTAs also offer price match guarantees, he added, giving the consumers more certainty that they are indeed getting the best available rate. I admit to being one of those people who generally uses metasites and OTAs for my research, then books directly with either the brand’s website or the specific property. Last fall, I had a rather unpleasant experience with a booking I had made directly through an OTA and, as a result, am skittish about using them for future bookings. In a nutshell, the property did not have the reservation I had made some four months before, and calling the OTA’s customer service phone number got me a recording advising that my expected wait time would be 10 hours, 53 minutes. Not particularly helpful. Chaddah said my experience was an unfortunate example of how OTAs in general have devolved: Moving away from giving the consumers a human element to support end sales. “There is a pendulum shift that moved from the good, old days of travel agents that worked with you on a personal level to a completely automated electronic system where you really can’t get in touch with anybody, he said. “Today, OTAs are moving back toward a balanced state” of using both artificial intelligence and human beings to provide customer service. 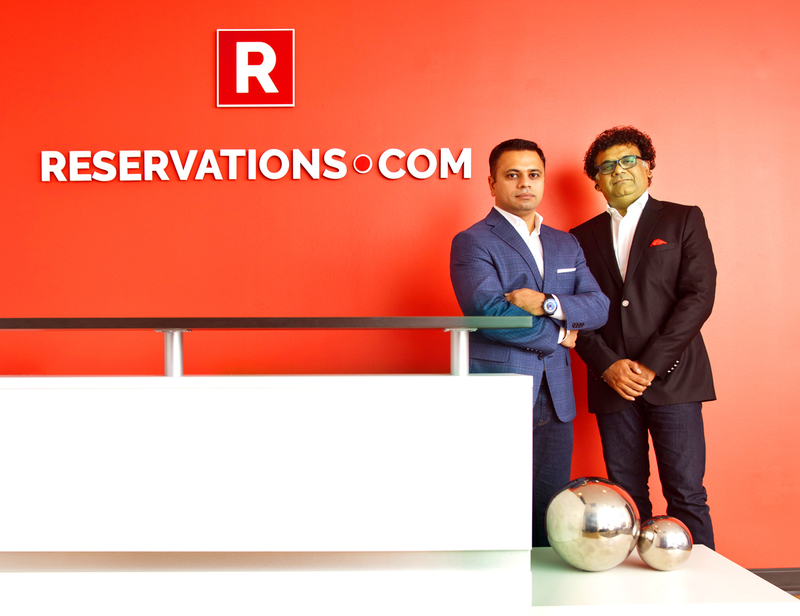 For its part, Chaddah said Reservations.com has “invested heavily” in 24/7 phone support where consumers can call to make booking or to report a problem and get assistance in resolving their issue. Even before my misadventure with Expedia, I was a traveler who tended to be loyal to my favorite chain. As such, I have used - and recommended - a tactic that takes some effort but which can result in a room rate at my preferred hotel that is equal to or lower than those offered on OTAs. If I find a lower rate for a specific property on an OTA or metasite, I will then call the property and ask if they can match it or offer an even better rate. In my experience, they strive to meet or beat the rate because they save the commission they would otherwise have to pay to the site. However, Chaddah said, my experience is not typical. “In principle, this tactic may work with smaller boutique hotels and a few brands; however in most cases hotel booking agents work under pre-defined systems and pricing rules independent of hotel's commission contracts and are not able to offer such discounts,” he said. Further, like airlines and hotel chains, OTAs are instituting and/or promoting their own loyalty programs to encourage repeat business. From Chaddah’s perspective, similar programs offered by individual brands cannot offer the same flexibility as one tied to an OTA. “Loyalty when you go directly to the brand is tied to the brand,” he said. “What happens when you’re traveling to a city where there is no Marriott, or there is a Marriott that you don’t prefer because of its location or amenities?” The choice then becomes either letting go of the loyalty points or staying at a property you really don’t prefer. When the loyalty points accrue with the OTA, however, the consumer has more options, as accrued points can be used to access any property represented by the OTA. That provides additional choice and flexibility over loyalty points that are brand-specific. According to Chaddah, Millennials are more savvy and more demanding when it comes to deciding on destinations and accommodations, and individual brands as well as OTAs are cognizant of that fact. Millennials get their information from a wider variety of sources than ever before, so OTAs have to be plugged in to all those sources, which can include articles, blog posts, social media, and their own on-line systems. OTAs are also working to increase the “stickiness” of data input by their customers, so the information stays in the system across platforms, rather than requiring customers to re-input the information when they switch between devices. Thanks to a combination of attitude and the technology that makes it possible, Millennials expect extreme personalization, Chaddah said. “Millennials like to feel special. They want to feel that the company is marketing to a group of one, so their entire experience feels like it’s tailored to them.” That could include showing them hotels in the areas they like to visit, those of a certain rating, those that are pet-friendly or kid-friendly. There is no doubt that individual brands are catching up, but they will not be able to match the range of choices available through OTAs.